This structure, located in the harbor area where the fishing boats dock in Puerto Peñasco, bears the image of The Virgin of Guadalupe, or Our Lady of Guadalupe, who is the patron saint of Mexico. The words inscribed in Spanish, "No tengas miedo, ¿no esty yo aquí que soy tu madre?" mean, "Do not be afraid. Am I not here, I who am your mother?" 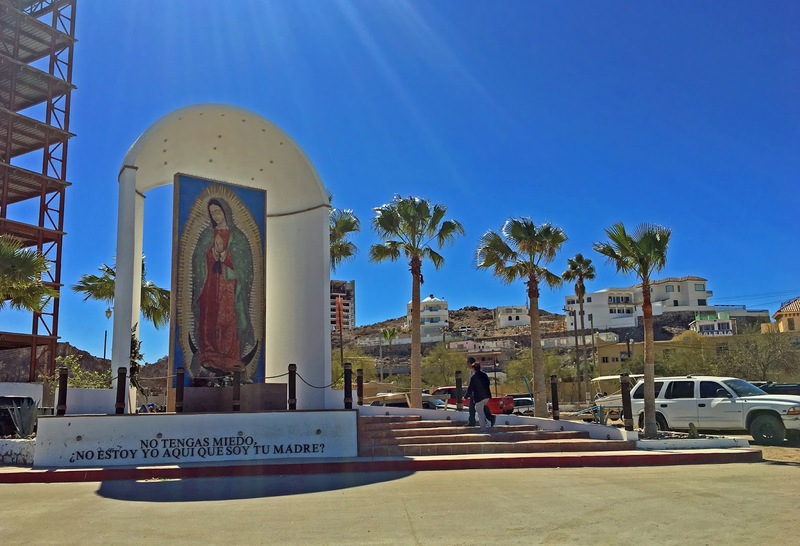 Our Lady of Guadalupe holds a special place in the religious life of Mexico, is one of the most popular religious devotions, and her image has played an important role as a national symbol of Mexico. 2009: I’ll Get To It As Soon As I’m Done Churning The Butter, Dear.